The weather is finally cooler here in Dallas and the holiday season is officially upon us! 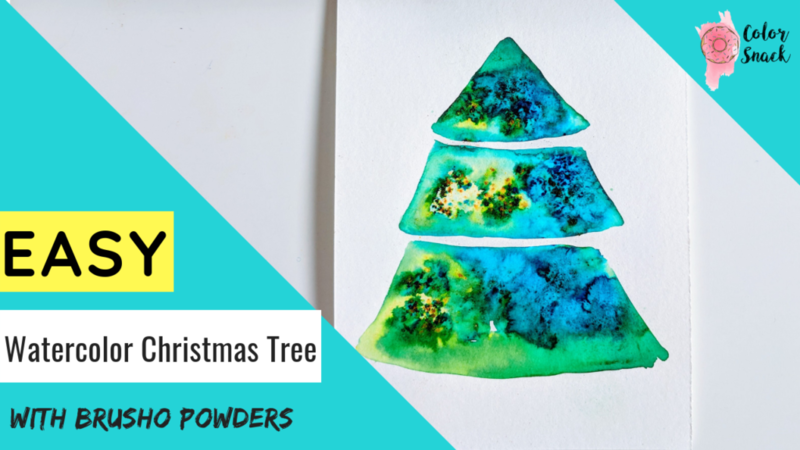 To celebrate, I’m so excited to bring you a quick mini series of watercolor Christmas trees! The next few weeks I’ll share a few of the 24 Christmas Tree styles that I teach in my latest Skillshare class. 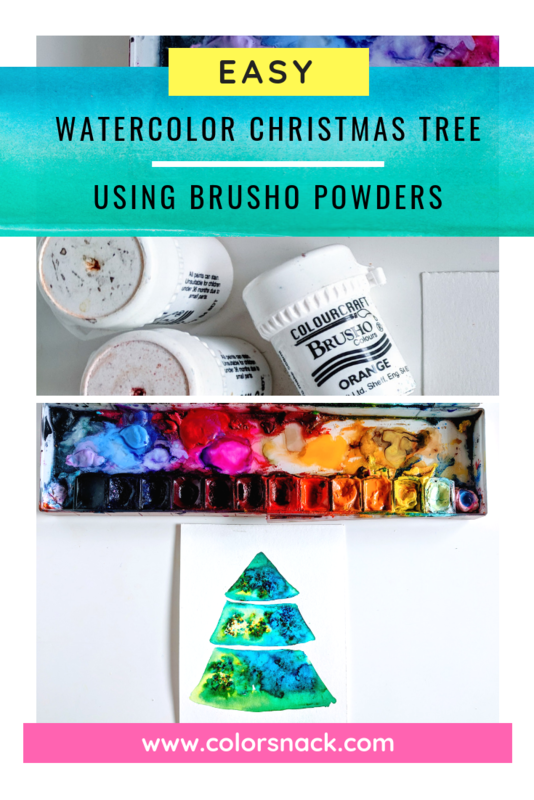 The first watercolor Christmas tree in this series is using brusho powders. I’m still in love with these watercolor powders because they are such a fun way to unwind with a sketchbook and some flowing colors. All you need is some paper, water and these magic watercolor crystals. You can also go wild with this watercolor Christmas tree sketch and try different types of colors instead of the ones I use in this tutorial. I love seeing new and exciting ways to color a traditional object like a tree. The possibilities for you to unleash your creativity are endless! Watch the video below with full instructions on how to sketch this watercolor Christmas tree using brusho watercolor crystals. I hope you give this a try, and if you do, share it & tag me @colorsnack on Instagram so I can admire your work!